For today's post I'll be doing a circle lens review. ^^ I'm gonna show you the I.Fairy Tofi Gray lenses, wopee! I normally don't really prioritize gray lenses (gray is kind of a dull color if you ask me, lol) but these seemed so fancy that I wanted to give them a try! 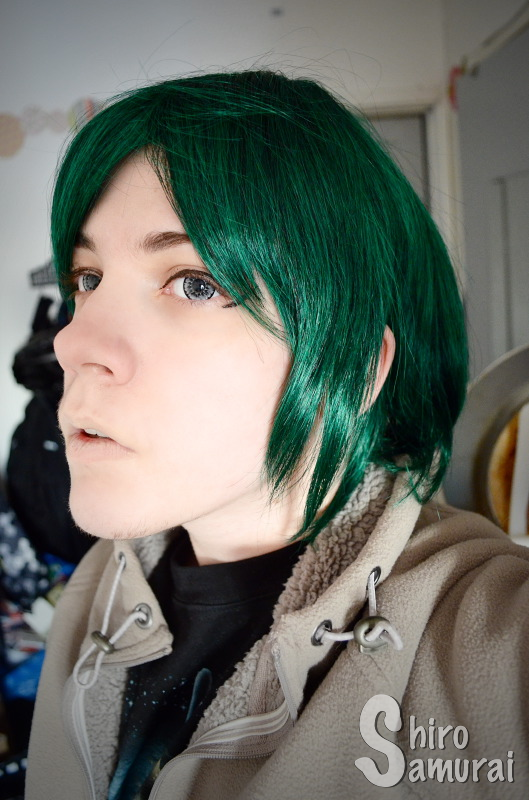 Also, I was expecting these to be really good as cosplay lenses. Okay so, I.Fairy lenses – these will be big. 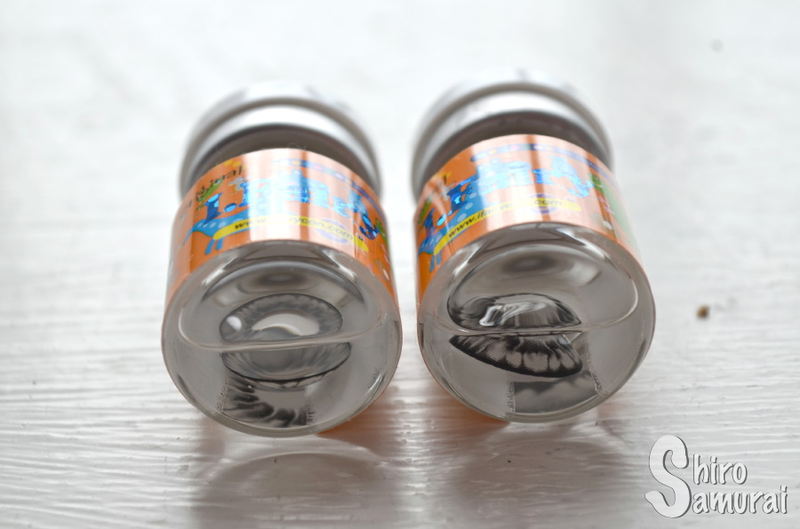 I.Fairy lenses are always big so be prepared for that if you ever get any! But yeah, the Tofi series has a really distinct and recognizable pattern; I'm not sure what exactly to call it but it reminds me slightly of some sort of flower petals, I don't know. Whatever it is it looks nice and I like how the inner center has a darker gradient – makes the lenses have more depth to them. The color is like a medium to light gray, really pretty and with excellent color coverage. The lens has a lot of pigment but where the lens meets the pupil hole there's an obvious clashing effect because it doesn't fade or blend into my eyes, even though I have light blue-gray eyes. Then again, most opaque lenses don't fade towards the center anyway so it's not like I was expecting these to have a natural blending effect, lol. Just wanted to mention it since I know that some circle lens wearers are bothered by an obvious "this is where the lens ends and you can clearly see my true eye color in a ring around the center". :) But then again, I don't think that anyone who buys these lenses expect them to look realistic anyway. I had some slight issues getting these lenses into my eye and they felt a bit itchy after insertion – I waited it out and afterwards it was fine. These don't blur my vision or anything but they started to feel dry already after 30 minutes! D: Then again, I've had especially dry eyes lately so that might have played a part, along with the fact that these lenses would have expired in next January if I hadn't opened them. So yeah, even though I couldn't stand these for much longer than 1,5 hours I think the approaching expiry date and my sensitive eyes might have played a big part in the comfort issues – I don't think these would be as drying for others. My eyes felt really dry after I took the lenses off, by the way. All photos taken by me during a November afternoon with a clear sky and with the sun low on the horizon, sunset. There's no color filters or such on the close-up photos and that's so that the colors would be as true to real life as possible. Apartment room light. Only natural light. Weak yellow light in the staircase. Facing an orange-ish lamp in the staircase, window behind me. Outdoors, facing the setting sun. 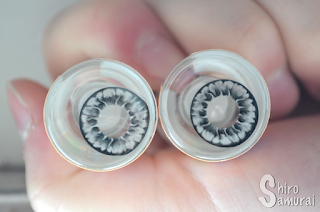 In terms of color and design these lenses are really likable – I can definitely see these being used for cosplay, especially. The bold color and the black limbal ring make these peepers look animated. I just wish I had been luckier with the comfort because they dry so fast for me that they're barely wearable. :/ Then again, as I said previously I'm pretty sure this would have been a non-issue if I had opened them earlier and not waited until there's only a couple months left. So yeah, please take my comfort grade with a grain of salt. A really nice medium light gray color. Shows up amazingly. Pretty and unique design that makes my eyes look 'anime'. Reminds me slightly of flower petals. 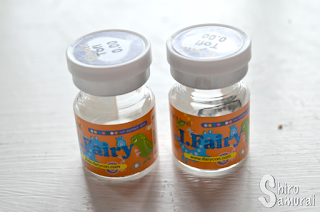 I.Fairy lenses are always big, what did you expect? Felt itchy upon insertion and dry out really fast. Can't wear them much longer than 1,5 hours. Not really natural. The color is too opaque and bold and the lenses certainly don't have a realistic print.